Finding and employing a nanny while visiting or living in Nigeria can be a painstaking and overwhelming process. From weighing the very safety of your children to judging the person’s personality to know if she/he will be a good fit for your family, you are required to make many critical considerations. 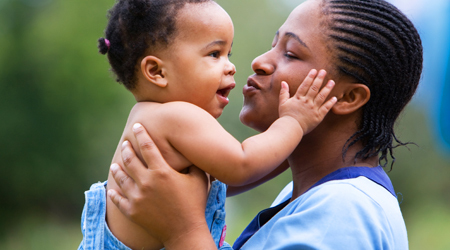 Even more, with the frequent release of videos showing nannies in Nigeria and other parts of Africa maltreating their wards, it is important that parents visiting Nigeria remain skeptical when making a choice. To help the visitors looking to engage a caregiver in Nigeria, here are five tips to help them not only hire a nanny while visiting Nigeria, but also remain confident about the situation afterwards. After the interview, do not just rely on the information the nanny has given to you by the nanny agency's background check. Conduct your own research. Contact the nanny’s past employers and make inquiries, do a thorough criminal background check, and identity verification. If hiring a nanny on your own, you can contact a private detective do these background checks. Most importantly, ask her for her medical records and ask her to take vital tests including HIV test, Hepatitis test and other tests to ensure she is healthy enough to work for you and your children are not at risk of any sort of infection from her. After the interview, go ahead and cut the list down to your top two candidates, invite them to your home for an in-person interview. Ask detailed questions about her background and child care philosophies and give them a chance to meet your child(ren) to see how she interacts with them. Take close note of how the children interact with the nanny. Is the nanny comfortable and acting natural? What is the child's response to the nanny? if they are old enough, ask them for their opinion. In all, do not be overbearing, rather, trust your instincts. If you do not think the nanny is the perfect fit for your family, keep looking; however, if it seems to be a good pairing, then move forward with the negotiations. After you have concluded on terms of employment with the nanny, draft a contract and ensure she signs it. However, it is important to include a trial period before full hiring. It could be a period of 4 weeks to about 12 weeks. During this trial period you train her and stay back for a while to see how well she gets on. If you are satisfied, you can seal a more permanent deal.